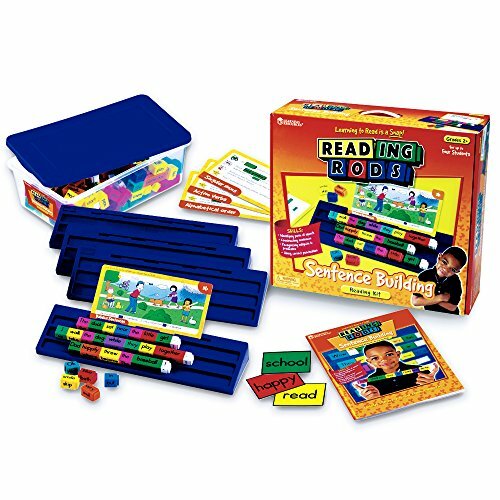 This reading Rods sentence-construction Kit helps students reinforce, practice, and Master key literacy skills. Activities focus on Grammar, usage, and Punctuation; using vocabulary in precise ways to convey meaning; and understanding, building, and revising Sentences with increasing complexity, including simple, compound, and complex Sentences. 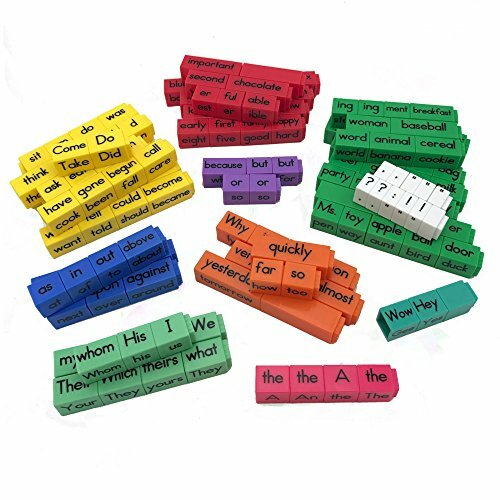 The color-coding of the Rods provides quick visual cues for recognizing parts of speech, affixes, and Punctuation, and applying this understanding to composing and improving Sentences. Kids practice reading and word-building skills by competing against each other. This customizable game has multiple levels to practice specific foundational skills. Includes 112 color-coded Rods, timer, 4 pencils, score pad and instructions. For 2-4 players. Students develop phonological awareness, phonics, and word recognition by using patterns to build words. 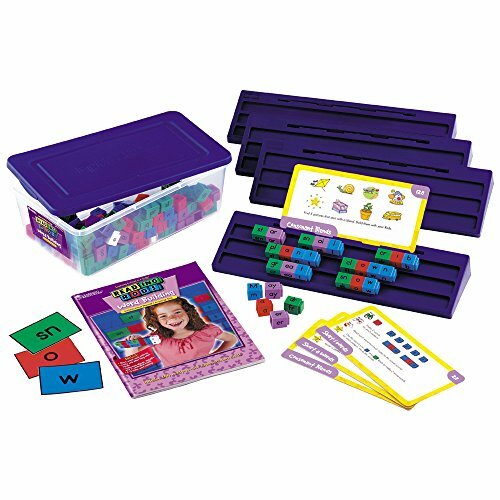 Kit includes 109 sturdy plastic rods with storage tub, 24 double-sided activity cards, 4 activity trays, and a 48-page instruction and activity book. Enough for 1 to 4 students to use at a time. 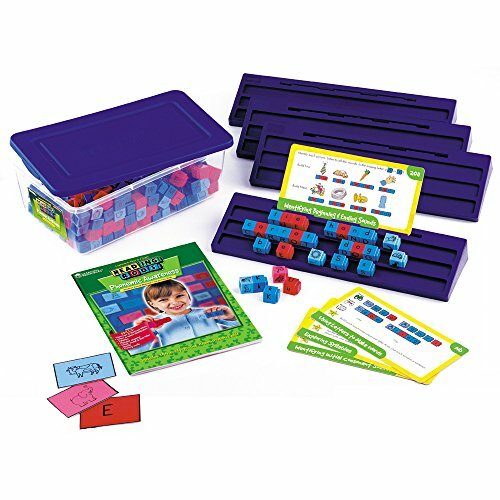 Helps students reinforce, practice, and Master key literacy skills! get started with reading Rods with this letter and picture set to build Alphabet and phonemic awareness. The color-coding of the Rods provides quick visual cues: red Vowel letters match with pink initial Vowel pictures; Blue consonant letters match light Blue initial consonant pictures. Use with one student or a collaborative pair of students. Reading Rods help students reinforce, practice, and Master key literacy skills. 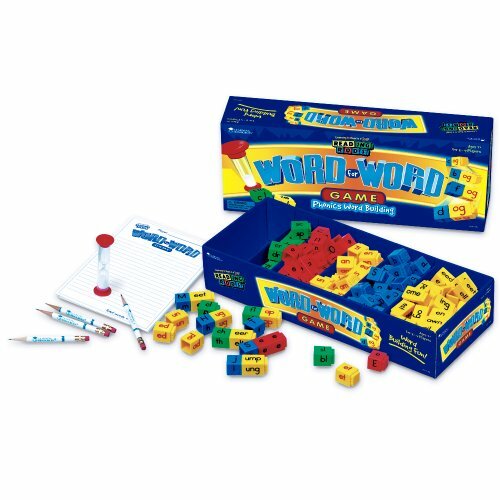 The color-coding of the Rods provides quick visual cues for recognizing parts of Consonants and word families. Use with one student or a collaborative pair of students. 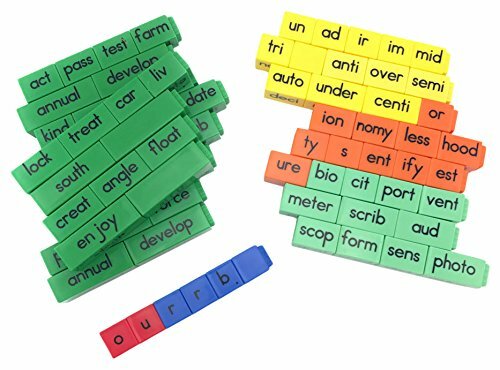 Reading Rods help students reinforce, practice, and Master key literacy skills.The color-coding of the Rods provides quick visual cues for recognizing Greek and Latin root words, Prefixes, suffixes. Use with one student or a collaborative pair of students. Students build skills in reading fluency, writing and mechanics through simple and complex sentence construction, reading sentences aloud, and using all parts of speech. 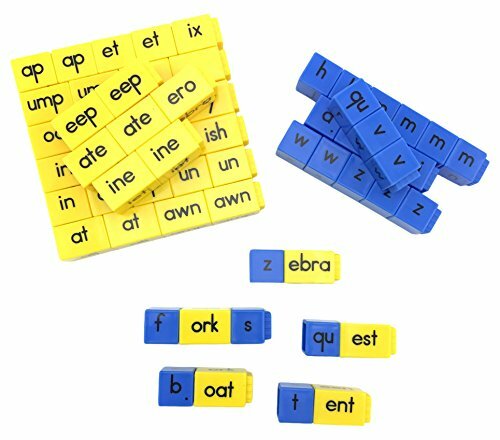 Kit includes 108 Reading Rods, 4 trays, 24 activity cards, and 25 letter & picture cards. Plastic tub and activity book included. 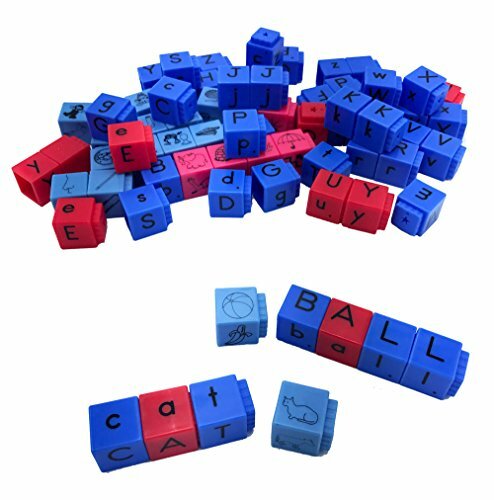 Develop phonemic, phonological and alphabet awareness by using letter and picture Rods to help children learn sounds, letters and letter-sound relationships. 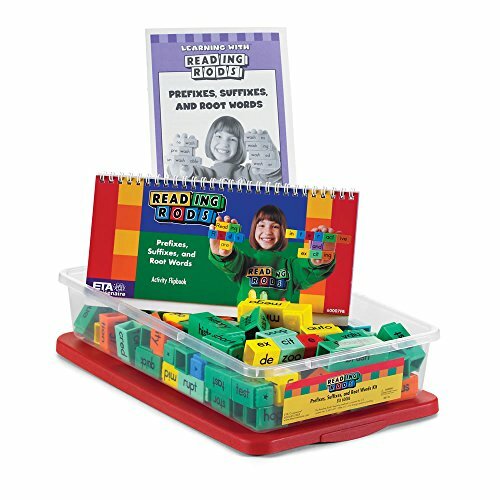 Full kit includes 108 Reading Rods, plastic storage tub, 4 trays, 24 activity cards, 25 letter & picture cards, and activity book. Activities align with the Common Core. 90 single-letter cubes (blue consonants and red vowels), with quantities based upon frequency of use. Lower case on one side, upper case on the other. Copyright © Wholesalion.com 2019 - The Best Prices On Reading Rods Online.